For decades, we have heard and talked about this. Scientists have finally managed to capture an image of a black hole. Movies were made, stories were told and theories were formed. Finally, they have all come true. A black hole is no more theory from our Science textbooks but it is real. Give rest to our imaginations because we can now see how it really looks. 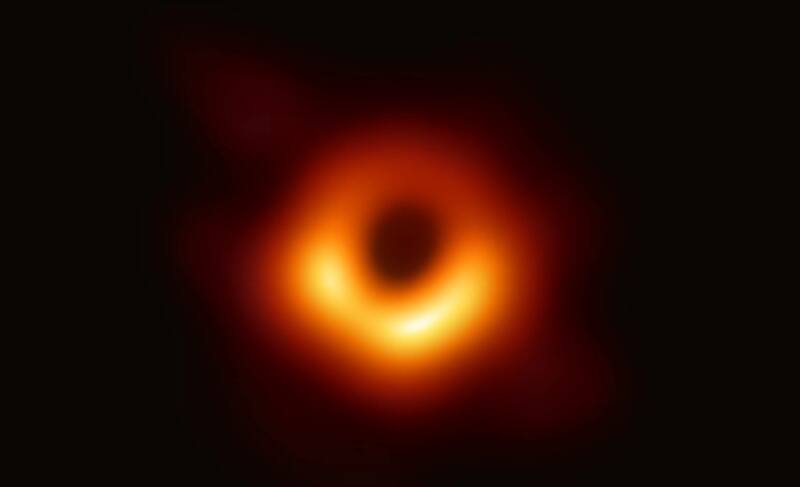 Scientists have been able to capture the first-ever image of a black hole, BBC reported. Based on an announcement on Wednesday morning from the researchers at the National Science Foundation, a global network of telescopes was used to capture an image of a supermassive black hole and the shadow at the center of a galaxy known as Messier 87 or M87. The massive galaxy is near the Virgo galaxy cluster 55 million light-years from Earth. This black hole has a mass that is 6.5 billion times that of our sun. According to NASA, black holes are made up of large amounts of matter that is squeezed into a tiny area. It creates a gravitational field that allows everything around it including light to be pulled into it. Capturing an image of a black hole remained a big challenge for researchers over the years due to the strength of the gravitational field that pulled anything into it such that there was no point of return. The visual evidence of the black hole confirms the theories of general relativity by Albert Einstein. The historic image captured shows a central black region, surrounded by a ring of light that looks brighter below. Being the first visual evidence for the existence of what has been theoretically studied for decades, this is a major achievement for scientists. "We have seen what we thought was unseeable," said Sheperd Doeleman, director of the Event Horizon Telescope Collaboration to CNN. "We have seen and taken a picture of a black hole." The project which began more than a decade ago involved more than 200 researchers, along with the global network of telescopes called Event Horizon Telescope Collaboration (EHT). Katie Bouman, a young researcher on the team, says “Even though we had worked on this for years, I don’t think any of us expected we would get a ring that easily,” she says. “We just expected a blob,” TIME. The combined power of eight radio telescopes around the world that effectively created a virtual telescope equal to the size of the Earth was used to capture the image of the black hole. ALMA, APEX, the IRAM 30-meter telescope, the James Clerk Maxwell Telescope, the Large Millimeter Telescope Alfonso Serrano, the Submillimeter Array, the Submillimeter Telescope and the South Pole Telescope were used in combination to capture the first ever image. "The observations were a coordinated dance in which we simultaneously pointed our telescopes in a carefully planned sequence. To make sure these observations were truly simultaneous so that we could see the same wavefront of light as it landed on each telescope, we used extremely precise atomic clocks at each of the telescopes," said Daniel Marrone, associate professor of astronomy at the University of Arizona to CNN. 5,000 trillion bytes of data, collected over two weeks, were processed through supercomputers to retrieve the images. The details of further observation were published in the Astrophysical Journal Letters in a series of 6 research papers.